Build leadership skills and invest in the lives of children. Tilikum’s High School-age Summer Staff work alongside our College-age Summer Staff as Day Camp counselors during the busiest weeks of the summer. Guys and girls between the ages of 16 to 18 are trained in early June and then work 5-6 weeks during the summer. High School-age Summer Staff are essential in providing support to the college staff with a small group of campers. Applications must be completed by May 7. Hire/no hire notification will be sent May 15. Training will be held June 20-22. High School-age Summer Staff are expected to commit to five or six weeks of work throughout the summer. Work days are Monday-Friday 7:30am-5pm.The stipend is $100 per week. 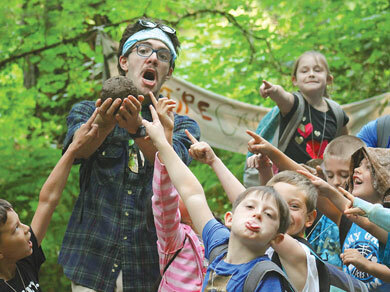 Interested in working at Tilikum this summer as High School-age Summer Staff? Click the button below to fill out an application.